While the overall totals and averages don't change by much from year to year, some of the individual companies in these industries are seeing their warranty expenses rise and fall dramatically. Electrical power generation equipment and material handling systems are by definition large pieces of commercial hardware on which other companies depend. So it's no surprise to find out how consistently reliable these products are. But at the same time, the past decade's warranty cost reduction efforts seem to have passed most of these companies by. In some cases, the products are just as reliable and just as costly to operate as they were when warranty expense reporting began back in 2003. To calculate this week's totals and averages, we started with a list of 95 manufacturers of electrical power generation and storage equipment, and 70 makers of material handling equipment and systems. Some of the companies on our lists this week were previously covered in the appliance, automotive, telecom or building material warranty reports. But many of them are covered here for the first time in this annual cycle. There are some companies that belong nowhere else but here: Generac Holdings Inc., whose corporate slogan is "Our business is power." Or Babcock & Wilcox Enterprises Inc., which is heavily involved in nuclear power plant construction. And then there are the numerous alternative energy companies: SunPower Corp.; First Solar Inc.; Enphase Energy Inc.; American Superconductor Corp.; and AeroVironment Inc. But then there are a lot of companies better-known for their products that fit into other industries, which are also making turbines, generators, batteries, and other power generation equipment: General Electric Co.; Cummins Inc.; Johnson Controls Inc.; and Emerson Electric Co. In some respects, Tesla Motors Inc. also belongs here, not for its cars but for its line of Powerwall home battery packs. On the material handling side, it's no more clear-cut. There's one group of companies making the heavy equipment used for construction and mining: Caterpillar Inc.; Deere & Co.; Terex Corp.; Manitowoc Co. Inc.; and Joy Global Inc. Then there's another group making forklifts and other material handling vehicles: Textron Inc.; NACCO Industries Inc. and then Hyster-Yale Materials Handling Inc.; and H&E Equipment Services Inc. And there are all sorts of companies making oil and gas equipment, packaging systems, food processing systems, conveyor belts, pumps, pipelines, valves, and compressors. It's a diverse crowd. As can be seen in Figure 1, these are also very warranty-intensive categories. We've gathered annual totals for claims paid, accruals made, reserves held, and products sold. And with those metrics, we've also created averages for claims and accruals as a percentage of sales revenue, and reserves held as a multiple of claims paid. In Figure 1 we're measuring the annual amount of claims paid by these 165 companies. Overall claims were down by $395 million in 2015, but that consisted of a split between the two camps, with a slight gain by the power equipment companies and a big decline by the material handling companies. Notice that from 2003 to 2008, the annual total increased almost every year for both groups of companies. But since 2008, there's been very little annual change outside of the decline seen for the material handling companies from 2014 to 2015. Caterpillar was by far the biggest contributor to the decline by the material handling companies, with its claims total falling from $1.07 billion in 2014 to $874 million in 2015. Textron was also a major factor, with a $68 million decline in its claims payments last year. Among the major warranty providers in the material handling sector, there were only a few that saw increasing claims, with Standex International Corp. leading the way with a $10 million rise (a tripling of its 2014 total). On the power generation side, there was a more even distribution between claims increases and declines. Leading the increases were companies such as Regal-Beloit Corp., Johnson Controls, Woodward Inc., and Ametek Inc. Leading the declines were companies such as SPX Corp., Roper Technologies Inc., Valmont Industries Inc., and Carlisle Companies Inc. Cummins saw a $15 million drop in claims, but that was off a $404 million total, so it didn't move the needle by much. Likewise, Emerson Electric saw a $13 million gain, but that was off a $247 million starting point. Warranty accruals followed a similar pattern to warranty claims. There was a gradual increase from 2003 to 2008, then a more or less steady annual total ever since, with a few notable exceptions. In 2005, the power generation equipment companies saw a $221 million decline, and in both 2008 and 2011 there were noticeable (and temporary) spikes in accruals for both camps. In 2015, overall accruals declined by $448 million, and once again there was a split: the material handlers saw a $515 million decline while the power generators saw a $67 million increase. Among the material handling equipment makers, Caterpillar was again by far the biggest contributor, cutting accruals by $328 million to $802 million last year. Textron cut its accruals by $91 million and Manitowoc cut accruals by $12 million. Joy Global cut accruals by only $5.7 million, but on a relative basis that was almost as big: 13%. And then Standex was the biggest gainer, boosting its accruals from $4.9 million in 2014 to $15.6 million in 2015 (once again, a tripling). Flowserve raised its accruals by a third, and Xylem Inc., a water pump spin-off from ITT Corp., raised its accruals by almost 20%. SPX saw one of the largest accrual declines on the power generation side, with a $16 million decline to $19 million. That was no doubt related to its spin-off of its flow technology and hydraulic technology businesses, which also involved a massive reduction in reserves and claims. Generac saw a 10% decline in accruals and once again Cummins led in terms of size with a $20 million reduction in accruals, but that turned out to be only a 5% decline. At the other extreme, GE raised its accruals by $56 million, though it's uncertain whether that arose from its power generation equipment product line or from one of its other lines of business such as jet engines or appliances. Johnson Controls boosted its accruals by $32 million, but again the problems behind it could have arose from batteries, seating, HVAC, or another line of business. Valmont Industries Inc. more than doubled its accruals total to $29 million, though the company said it was a "one time increase" that was "related to one large utility project." That and other factors helped cut net earnings per share from $7.09 in 2014 to $1.71 in 2015, with the warranty matter alone shaving 50 cents per share off the total. On a relative basis, some of these gains and declines in claims and accruals are huge and impactful, especially when compared to sales. Other times, they're rising and falling in proportion to one another, with little consequence. Valmont, for instance, had to increase warranty expenses by so much that it had to add a note to its annual report. But what it didn't say was that because of the added impact of falling sales, its accrual rate soared from 0.4% to 1.1% of total revenue. Likewise, SunPower didn't increase its claims and accrual totals by much at all. But when sales fell by 51%, the relative impact of those small increases was magnified. Instead of accruals eating up 0.9% of sales, they consumed 1.8% of sales. That's a big change, which will be felt on the bottom line. In Figures 3 and 4, we're taking the claims and accrual totals from Figures 1 and 2 and dividing them each by product sales. Although there may be lots of pain among the individual companies, both charts suggest that the overall industry average expense rates haven't changed by much over the past 13 years. One can take that as either good news or bad news. It's good news in the sense that it demonstrates a consistency and predictability for both power generation and material handling equipment from year to year. Except for the unusual and isolated cases -- a few of which we named above -- the warranty expense rates don't rise or fall by any huge amount. It was one percent in 2003, and it was one percent in 2016. The bad news is that this also means there's been little progress when it comes to warranty expense reduction. Ingersoll-Rand, Joy Global, Colfax Corp., and SPX were the only sizeable warranty providers to make it into any of the top 10 reduction lists in the March 17 newsletter, and as we've already noted, SPX made it only because of its spin-offs. The plain truth is that most of these companies are paying the same warranty expense rates as they were a decade ago. One of the big reasons for the 2009 rise in the claims rate in Figure 4 is the impact the recession had on companies such as Caterpillar and John Deere. One of the big reasons for the decline in the group's average claims rate from 2009 to 2012 is the cost-cutting progress these companies have made. Take them out of the equation and the line in this chart would be almost as flat as Figure 3. The progress came in smaller steps. For instance, Manitowoc, which is in both the material handling and food processing businesses, cut its claims rate by 6% and its accrual rate by 10%. But it also saw sales fall by 12%. So the good news is that expenses fell faster than sales. The bad news is all three metrics fell. It didn't go as well for everyone. For instance, John Deere saw a 22% sales decline and a rise in both its claims and accrual rates, because expenses didn't fall as fast as sales. The same goes for FMC Technologies Inc., which saw sales of its oil and gas drilling equipment decline	by 20% but saw its claims and accrual rates rise. Joy Global, Colfax, and Terex also saw sales declines, and all but Terex saw expense rates rise. Our next warranty metric is the closing balance in the warranty reserve funds of these 165 companies over the past 13 years. Once again, as can be seen in Figure 5, the totals rise from 2003 until 2008 and then more or less level off for the seven years since. Until 2015, the peak balance was measured at the end of 2011, when the companies had a combined $9.531 billion in their warranty reserve funds. But in 2015, the combined balances grew to $9.546 billion, setting a new record by $15 million. Measured in dollars, some of the biggest reserves increases were made by some the biggest companies in these markets. GE boosted its balance by $524 million, while Cummins added $121 million to its reserve fund. On a relative basis, GE's increase still looks huge: a 44% boost to its 2014 balance. But bigger still were the 85% increase at Valmont ($20 to $37 million) and the 90% boost at Carlisle Companies ($15 to $29 million). In terms of reserve declines, the nuclear power company BWX Technologies Inc. saw the largest change, but that was almost entirely due to its spin-off of Babcock & Wilcox Enterprises last July. On a relative basis, Colfax is probably the biggest non-divestiture-related decline, cutting its reserves from $51 million to $37 million. There's another way to look at warranty reserves. Rather than just measuring the balance, one can measure the company's capacity to pay claims from that balance. For instance, if the company has a reserve of $12 million and is paying claims at a rate of $1 million a month, the reserve could be said to have a capacity of 12 months. In Figure 6, we've taken the reserve data from Figure 5 and divided it by the claims data from Figure 1. We've also repeated the accrual rate data from Figures 3 and 4. But these new combinations come in the form of two clusters of 52 points each, representing the average warranty capacity of these two groups for each of the four quarters of the past 13 years. 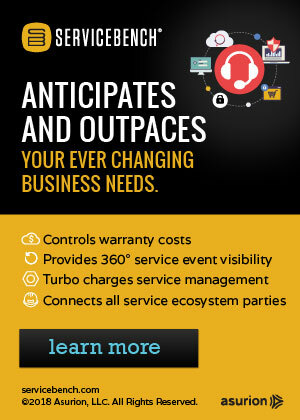 For all companies in all industries, the average warranty capacity is about 19 months. In other words, if they were to all stop making accruals today but were to continue to pay claims at today's rates, the funds they have on hand today would last for 19 months. Meanwhile, their average accrual rate is 1.3%, so anything to the right of that line is above average, while anything to the left of that line is below average. For the two groups we're looking at this week, it's pretty clear that while they seem to agree that a warranty capacity of 15 to 24 months is about right, the power generation companies tend to have below-average accrual rates while the material handling companies have above-average accrual rates. In other words, while they agree on how much they need in their warranty reserve funds, they add in new funds at much different rates to replenish actual spending. So let's assume that for these industries, 15 to 24 months is the normal range when it comes to warranty capacity. It turns out that most of the largest warranty providers are in that range: Cat, Deere, GE, Ingersoll-Rand, Johnson Controls, and Manitowoc. If one assumes there must be a correlation between warranty capacity and the average duration of a company's warranties, then it would be no surprise to find the solar power companies, with their 25-year warranties, to be at the top of the list. And indeed they are: SunPower has lately been around 123 months, and First Solar has been around 194 months. At the low end, Emerson Electric, Terex, Joy Global, Xylem, and FMC Technologies have consistently kept their warranty capacity below 15 months. At times the ratio has dipped to 5 or 6 months for two of them. They're not going anywhere, so they'll always have funds available to pay claims. But their shareholders might not know that if anything unusual were to happen to drive up warranty expenses suddenly and significantly, earning per share would take the hit sooner rather than later. Four surprising things about cellphone insurance. Minnesota Attorney General investigates AutoAssure LLC after complaints. Warranty length was top criteria in choice of this year's Best CPO Programs.